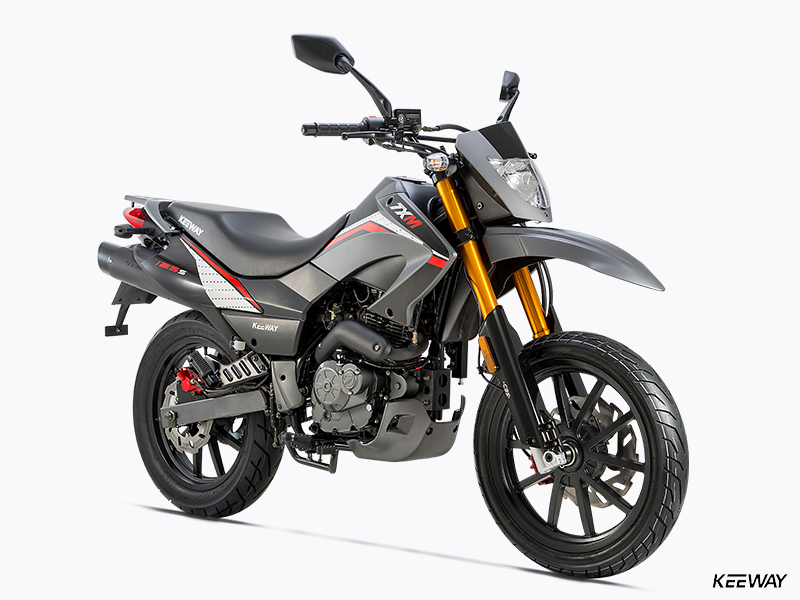 TX 125 Supermoto E4 - Keeway Q.J. 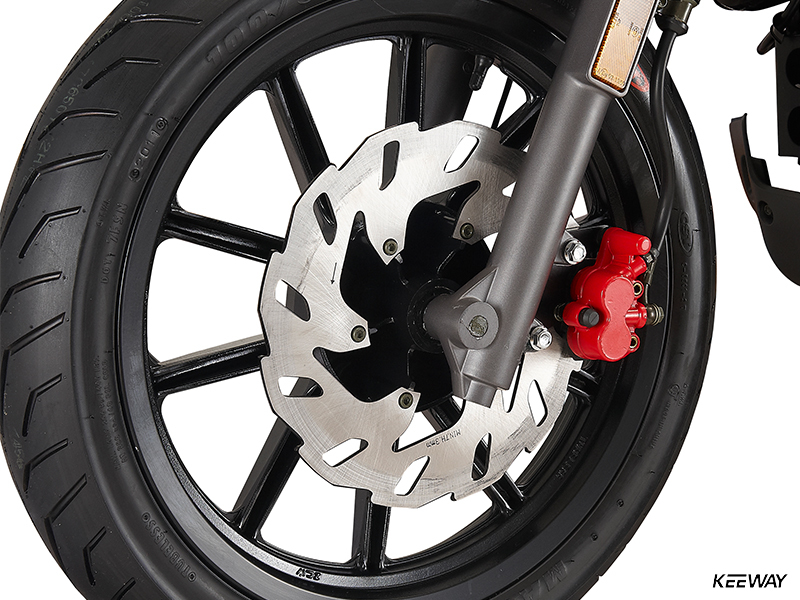 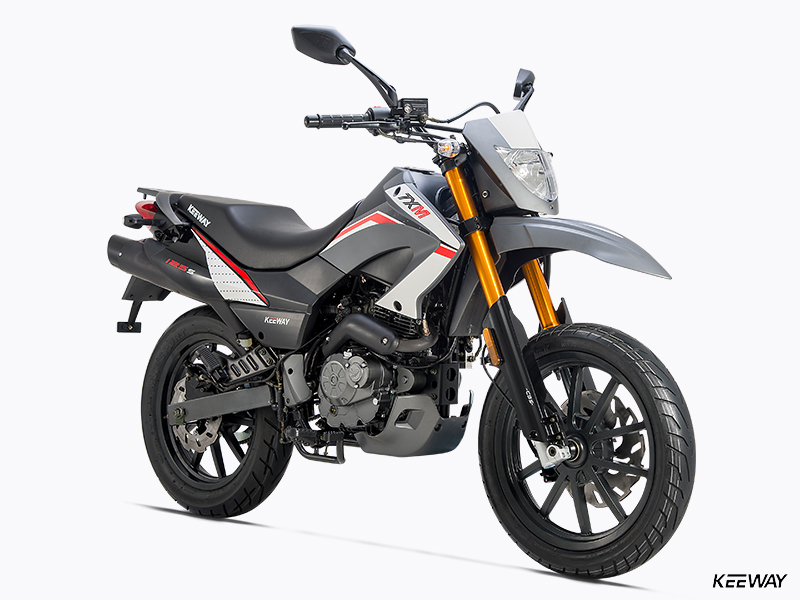 Supermoto street bikes are amazingly practical and fun motorcycles, blending the best characteristics of sportbikes with the upright seating position and comfort of a dual-sport machine. 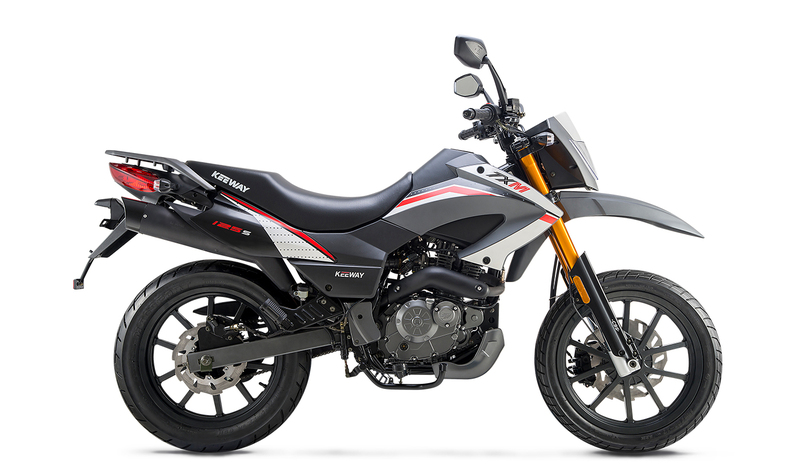 And Keeway’s TX 125 Supermoto is a perfect example. 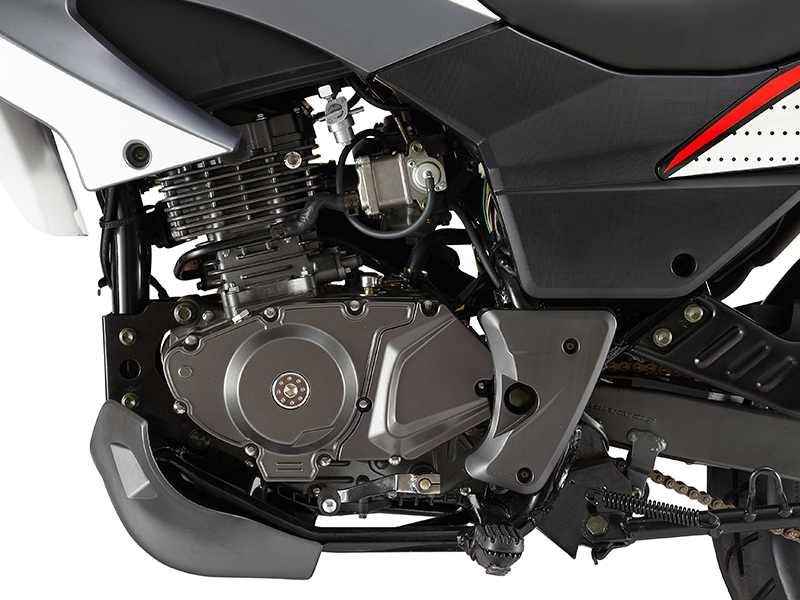 Powered by Keeway’s reliable and powerful 125cc SOHC four-stroke engine, the TX 125 Supermoto adds a dual-sport chassis, sticky street tires, modern, race-type suspension (including a monoshock and inverted fork), racing-spec disc brakes and tons of cornering clearance, all of which allow you to make the most of the TX’s amazing handling and maneuverability. 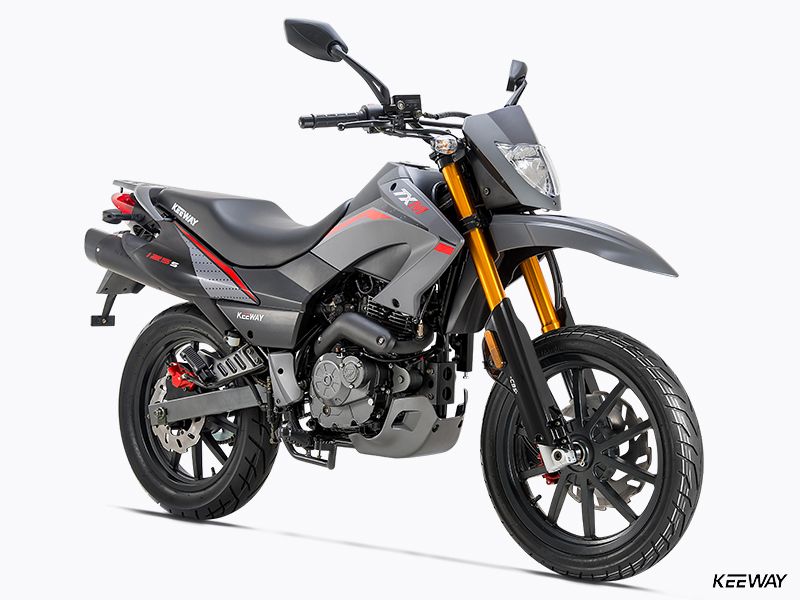 Add digital instrumentation, two-up capability, a handy luggage rack, lightweight cast-alloy wheels, electric starting, electronic ignition and tons of bang-for-the-buck value, you have a machine that’ll have you grinning ear to ear inside your helmet all day long. 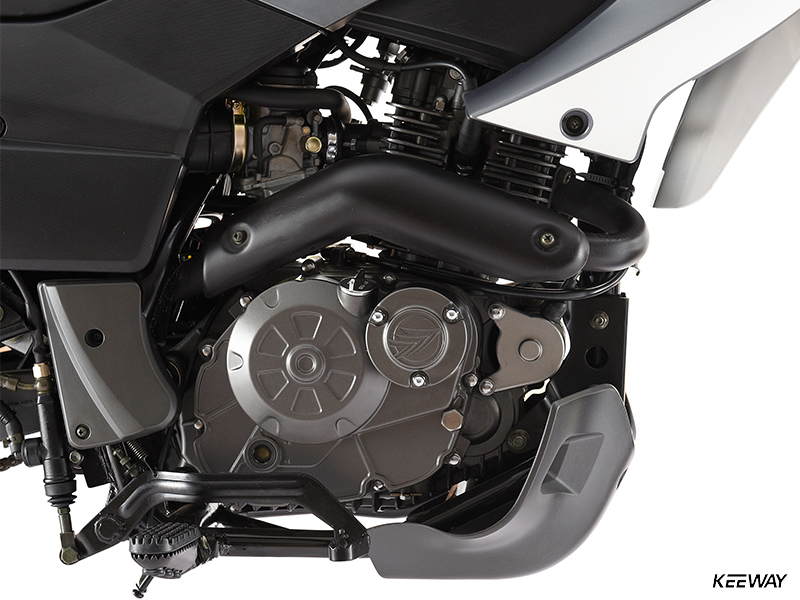 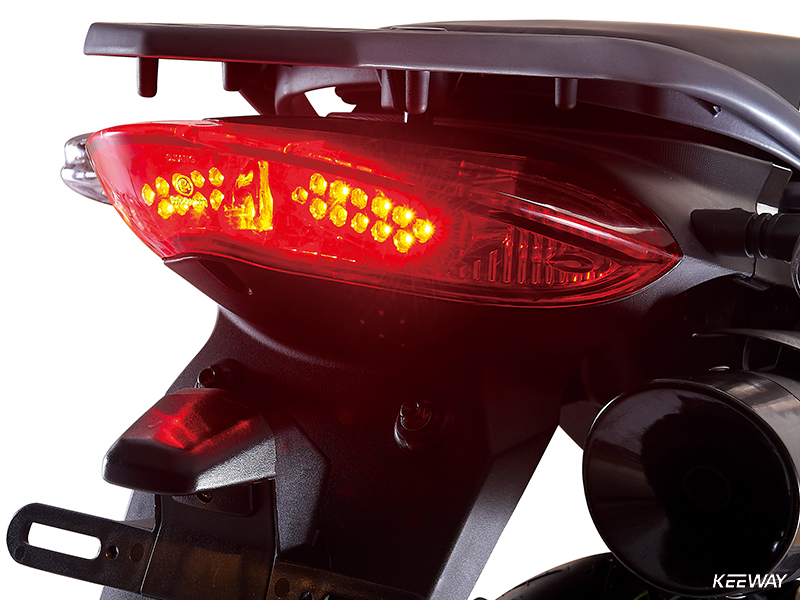 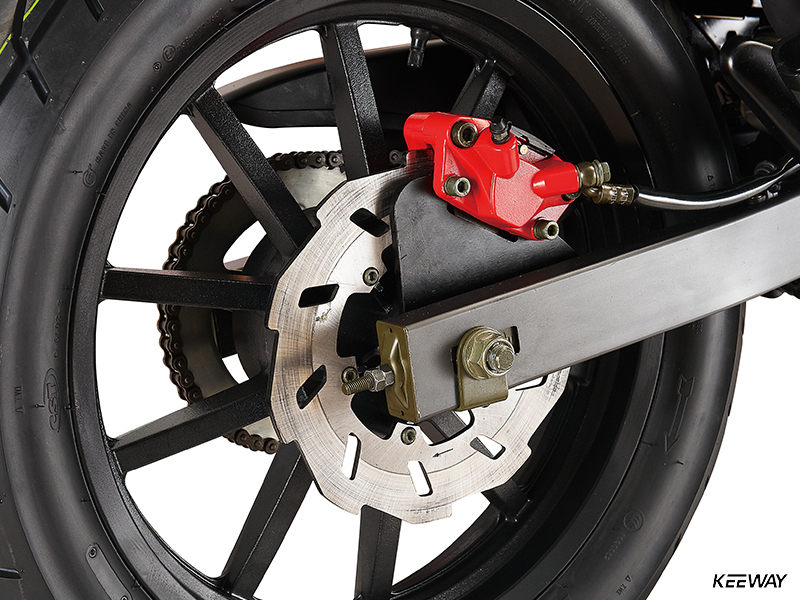 The TX 125’s air-cooled, single-overhead-cam four-stroke engine is reliable and pumps out plenty of smooth, usable power – ideal for any sort of riding environment.